Fundraiser for David Tucker by John Linquata : The Fishtown Horribles Parade!!! 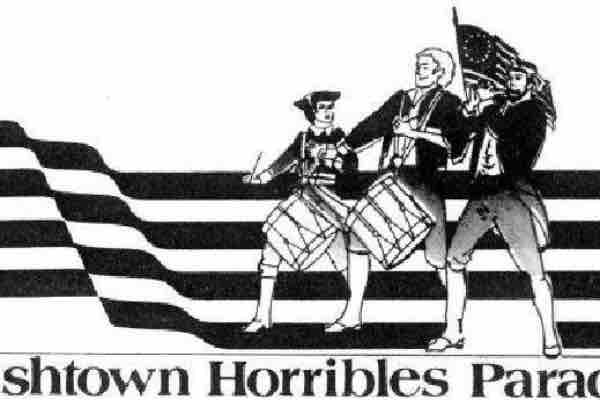 The Fishtown Horribles Parade is in dire need of funds! Many of you around town gather on the 3rd of July along the 1.5 mile route that twist and turns through downtown Gloucester. You all enjoy this great event with friends and family. But most of you have no idea what it takes for this parade to be put on. We are completely self funded only receiving police and fire support from the city. The majority of our funding comes from the public the day of the parade. Last year we took in only $3,500 (that barely pays for one band). You all know the kids with buckets bothering you to dig deep and give, about half way through the parade, yeah that's where most of it comes from. Well due to a multitude of issues we have had to turn to alternative ways of coming up with the necessary funds to pay for it. One of which is our brand new sausage cart on the boulevard the day of the parade. We bought our sausage cart under the pretense that we had complete and total control of vendors on our route for the time of the parade 6pm. This is also the time that the city’s fixed vendors must stop selling any and all items. Well the city decided to go behind our backs and change the ordinance calling for fixed vendors to close at 6pm the day of the parade. This takes away our ability to control where vendors go and what they sell which will effectively take money away from us. Money that we desperately need to continue our great tradition. This year we have had to scale back the number of band and we will have to stick with local cheaper bands. So here I am asking you to dig deep and give. The day of the parade I ask for your change pennies, nickels, dimes I don't care we accept all legal US tender. Today I am asking for more. How much more? Well that is up to you. How much is it worth to you to make those memories that happen around the parade? Because it's not only about the parade but it's about the memories we create and the traditions we carry on. Thank for taking the time to read this and thank you for supporting the parade. If we could all give a little...the entire Gloucester Community receives a lot! Thank You to all of the parade volunteers!